Prime Minister Shinzo Abe is considering visiting Iran in July for talks with President Hassan Rouhani, Japanese government sources said Thursday. If realized, it will be the first trip to Iran by a sitting Japanese prime minister since Takeo Fukuda visited the country in 1978. The envisaged visit would be part of Abe's trip to Europe and the Middle East slated for mid-July. If he meets with Rouhani, Abe is expected to convey Japan's continued support for the Iran nuclear deal even after President Donald Trump withdrew the United States from the agreement in May. 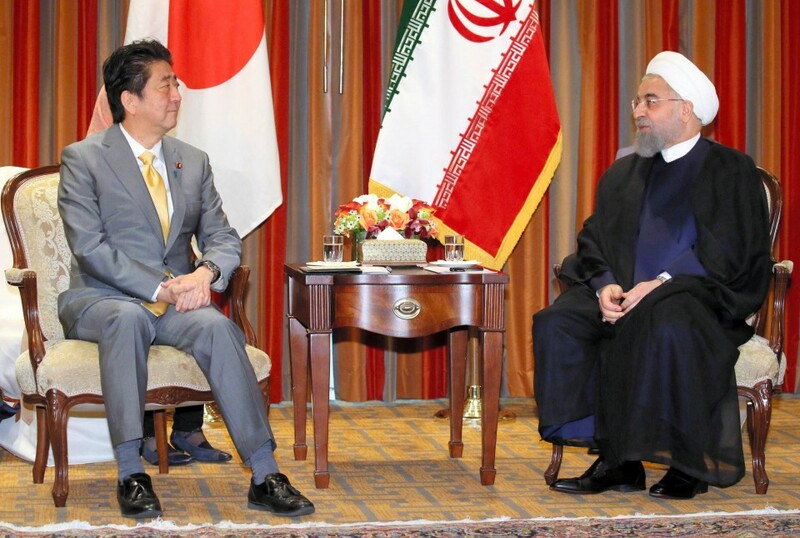 Tokyo is also seeking to strengthen economic ties with Tehran, a major producer of oil and natural gas. Abe is planning to travel to the Middle East after visiting Belgium and France. In Brussels, the prime minister plans to sign a free trade agreement between Japan and the European Union. Aside from Iran, Abe is considering visiting Saudi Arabia and Egypt as well, according to the sources. Abe will finalize the itinerary soon, they said. Under the 2015 deal struck between Iran and six major powers -- Britain, China, France, Germany, Russia and the United States under Trump's predecessor Barack Obama -- Tehran agreed to curb its nuclear activities in exchange for the lifting of crippling economic sanctions.